I don't recall where I was headed that autumn day back in 1999 when my life changed forever. It might have been to the grocery store up the block or the hardware store around the next corner. Wherever it was, on my way I passed an empty lot sitting between two pre-war apartment buildings -- a rare bit of open space in this highly developed Upper West Side neighborhood. A wrought iron fence separated the lot from the sidewalk, its surface ragged and worn from too many coats of paint. I don't remember what I was thinking about either. Perhaps a piece I was editing at the video production company where I freelanced or an impending deadline for an appeal at the law firm where I still worked part-time. A quick movement in the lot caught my attention and I stopped to take a closer look. An orange kitten, no more than several weeks old, was jumping around in the overgrown grass, having a delightful time. It was no place for a kitten. Cars shot by only a few feet away. Someone with ill intent could grab him if he came too close to the fence. One side of the lot bordered an alleyway a steep drop below. I had to get hold of him. I wasn't too worried about what I'd do once I caught the kitten. I knew a cat rescuer, Marilyn, and I could ask her to take him and find a home. Twice I had donned a suit and tie and, looking my lawyerly best, intimidated abusive deli owners into handing their store cats over to Marilyn (it violates the NYC Health Code to have a cat in a deli). She'd probably do me this favor. My contemplation of this favorable outcome was cut short, however, by the arrival of two more kittens the same age also chasing down blades of grass. This wasn't going to be so easy after all. But I could handle it. If I had to, I'd put them in my bathroom, apart from my two cats, until Marilyn could take them. An inconvenience for sure and no guarantee she could take them all, but I couldn't walk away and leave them to their fates. The tug I felt, that they were now my responsibility, was too strong. It would be ok, I reassured myself. Then two more kittens showed up. I was in trouble. I walked around the block, asking business owners and superintendents what they knew about the cats. I learned the colony originated two years earlier when two stray cats wandered in and started hanging out behind a real estate management company. The owner of the company could see them from his office window and put food out for them. After the pair had a litter and more fuzzy faces appeared at meal times, the owner bought more food. By the time I stumbled upon them, the colony had grown to over 30. Neighbors weren't pleased. Fighting and caterwauling, the result of mating, woke them up late at night. The cats got into building basements and when the unaltered male cats sprayed to mark territory, the odor was incredibly foul and difficult to get rid of. Faced with a population explosion, the real estate company owner had stopped feeding the cats. Some residents whose apartments overlooked the lot were now tossing food out their windows. Others had called animal control to come and take the cats away. Faced with the same situation in literally thousands of locations throughout New York City, this wasn't a task animal control was willing or able to perform. I tried calling shelters and rescue groups. They were all full. Besides, except for the baby kittens, the cats were feral and unadoptable. The official city shelter would have been obligated to accept them if I brought the cats in myself, but then they probably would have been dead within days, euthanized either due to being feral or from lack of cage space. I wanted to help the cats, not kill them. That's when I heard about Trap-Neuter-Return, commonly known as TNR. With TNR, feral cats are trapped, spayed or neutered and then returned back to their original territory. Caretakers provide food and shelter and, unable to reproduce, the colony gradually dies out over time. I was skeptical at first whether this was a good idea in a dense urban area like Manhattan but faced with no other acceptable options, I joined with two more concerned neighbors to try it out. That's how the organization I'm with now, Neighborhood Cats, was founded. It did work out -- it took several months, trapping one or two cats at a time, hunting down veterinarians willing to do the surgeries at low cost and socializing and finding homes for the kittens. One cat -- Grandma, the black and white matriarch -- took longer to catch and she managed to have a couple more litters before I finally drop-trapped her. And so I became, like so many others, a caretaker of feral cats. I didn't take this step because I had extra time and funds (I didn't). It was not because I wanted cats to live on the streets. 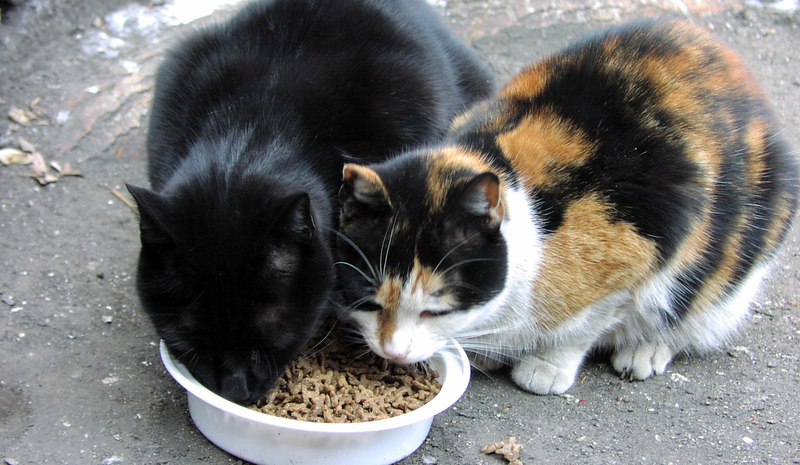 It was not that I especially enjoyed having to go feed them twice a day no matter the weather for the next eight years before the remaining cats passed away. Not because I liked dealing with angry neighbors who didn't understand why I was there or worrying about what happened when a cat disappeared. It was because I came upon some animals in need and TNR was the best and, for me, only compassionate choice. 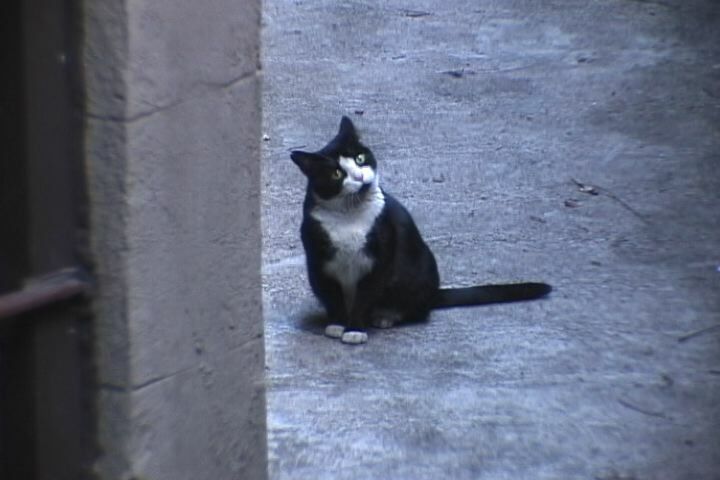 To learn more about TNR, including what it is, how to do it and where to find help, visit neighborhoodcats.org. 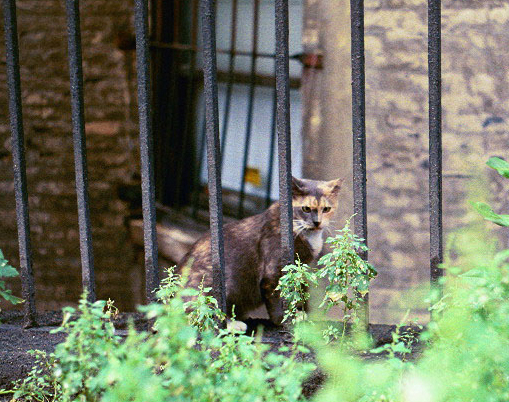 Plus see how Neighborhood Cats brought TNR to New York City.